This concentrator synchronizes data transmission and reception from the electric meters by one phase and their transmission to the central control station is performed through the selected communication channel. “Mercury 228” GSM-gate is designed to ensure a distant access to the device or a group of devices equipped with RS-485 serial interfaces. In the AMR/ASKUE/ system GSM-gate is used for data transmission from geographically distributed “Mercury 225.1” concentrators to the electricity registration control office. “Siemens MC35” GSM modem or any other one. It is connected to the registration operator’s PC to ensure two-sided communication with distant devices (GSM gate) through GSM channel. “Bquark.exe” is designed for using with “Mercury –PLC approach in the structure of AMR/ASKUE/ system as a working place for registration operator. By this program it is possible to get data distantly from geographically distributed ”Mercury 225” concentrators. At the same time, it is possible to transmit the concentrators any individual or group commands of electric meters control. The Program “Bquark.exe” can be used as a primary data source with the purpose of taking balances and providing the consumers with the records of the consumed electricity charges. 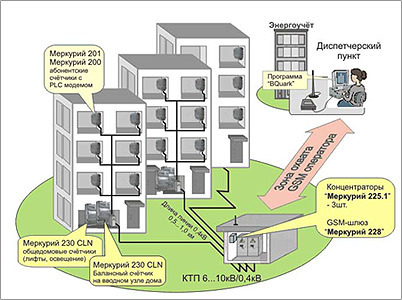 For receiving registration data on the consumed energy from the consumers connected to 1 one-transformer 6 (10)kV\0,4kV substation, the system equipment in its minimal set consists of 3 “Mercury 225.1” single-phase concentrators and a number of “Mercury-200-04” and “Mercury 230” single-phase and three-phase electric meters equipped with built in PLC-modems. “Mercury 225.1” concentrators are installed in any suitable place of three-phase four-wire network of 0,4kV, for example, in an electrical board of apartment buildings and more often directly in the transformer substation and each of them gets connected to any of its phases of the bus sections. The basic functions of concentrators are to provide synchronization of data transmission carried out by electric meters and to receive data on power consumption continuously transmitted by electric meter modems with the further storage in their own energy independent memory. Besides, “Mercury 225.1” concentrators distribute signals of the exact time and modify the operation modes of electric meters. Concentrators are equipped with RS-485 digital interface with the help of which they get connected with each other and with additional devices of data transmission at distant PC in a control office with cabling pairs in a local network. For example, they get connected by GSM-gate, “Mercury 225.1”, radio modem, telephone system modem. 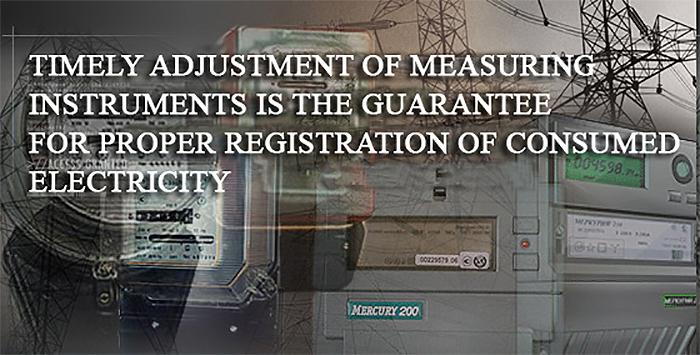 If necessary, it is also possible to connect “Mercury” electric meters equipped with this interface to the network, for example, balancing electric meters of transformer substation. In this way it will be possible to perform distant control over all the possible parameters registered by the electric meters. It is also possible to take out the accumulated data to the controller’s PC (Notebook) directly on the place of concentrator installation through USB port.